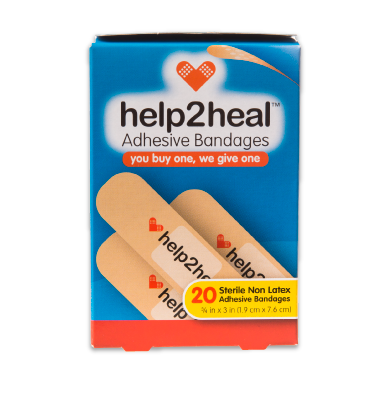 Help2Heal provides the most meaningful way to heal by donating one first aid product to a resource-limited community for each first aid product sold. With this unique buy one, give one model for first aid, Help2Heal is changing the conversation from "me" to "we" around the world. 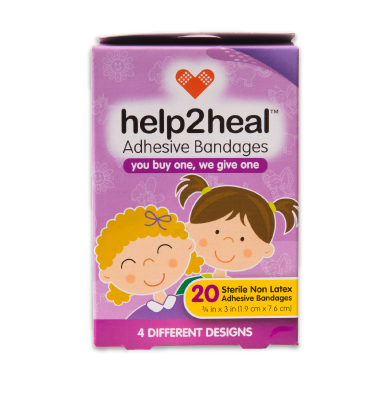 Help2Heal™ was inspired by 9-year old Mason Israel who brings first aid supplies to school everyday so he can patch up anyone who gets hurt. Mason realized that while everyone at his school can afford first aid supplies, some children in other parts of the world cannot. Mason set out with his entrepreneur parents, Rob and Renee to help people around the world heal. Help2Heal became a Certified B Corporation in 2016. B Corps are a new type of company that uses the power of business to solve social and environmental problems. B Corp certification is to business what Fair Trade certification is to coffee or USDA Organic certification is to milk. Help2Heal was certified by the non-profit B Lab to meet rigorous standards of social and environmental performance, accountability, and transparency. We’ve evaluated how our practices impact our employees, our community, the environment, and our customers. Today, there are over 2,200 Certified B Corps around the globe, including Ben & Jerry's, Patagonia, and New Belgium Brewery. We are proud to join them in redefining success in business, so that one day everyone uses business as a force for good. To learn more about our certification, check out our B Corp profile.